Andrew studied at Sheridan college (graduated in 2003) and followed that with a BFA from the Alberta College of Art and Design in 2005. 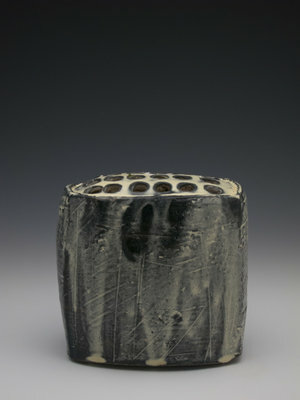 Following a residency semester at the National University of Australia (Canberra) he apprenticed for a number of potters as well as working as a studio technician at the Art Gallery of Burlington for 4 years. Andrew isn't just a potter; he studied textile design at Ontario College of Art and Design from 2012-14, specializing in weaving, ikat dyeing and crazy quilts. 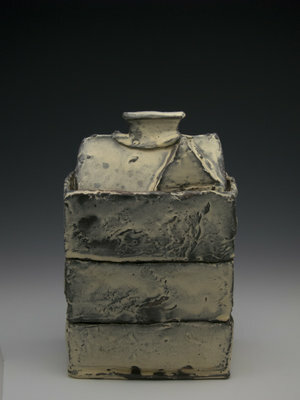 Coming back to clay again, he then went to graduate school at West Virginia University studying under Boomer Moore, and Jenn Allen at WVU for a MFA. Andrew spent 3 months at the Pottery Workshop in Jingdezhen, China.